Hollandia yogurt goodness on the go promo is on!!! 2. 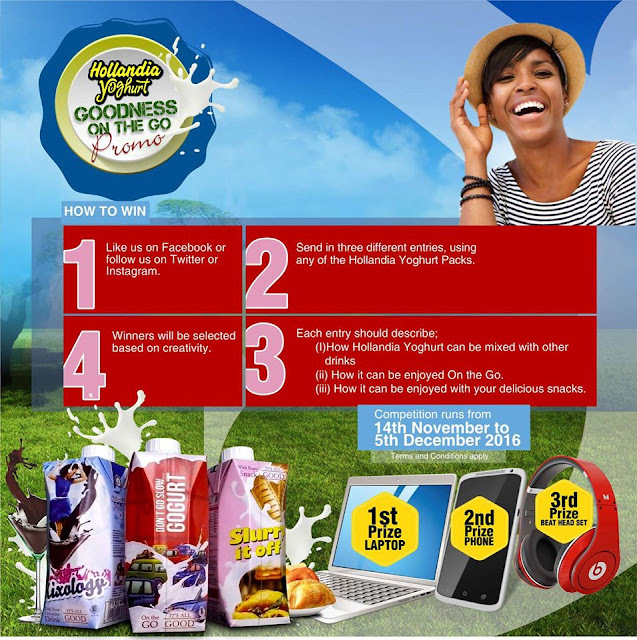 Send in three different entries using any of the Hollandia Yoghurt Packs. i. How yoghurt can be mixed with other drinks. ii. How yoghurt can be enjoyed on the go. iii. How yoghurt can be enjoyed with your delicious snacks. 4. Winners will be selected based on creativity. 3rd Prize - Beats by Dre headset. Competition runs from 14th November to 5th December, 2016.